The task I was presented with was to embed the graphical output from an R package in a Tableau dashboard. Of course it’s possible to run R code from within Tableau Calculated fields, you can read more about it in official Tableau resources here, here, and here and also here on my blog. But part of the game is that there is only one vector of data being returned from the R session via Rserve into a Table Calculation in Tableau. So what about some of the complex graphics R can produce? Sure, you can try to rebuild those natively in Tableau based on the data returned from the code. But what if a) you’re too lazy to do that (and also it’s all just about rapid prototyping something anyways), or b) the visualization is just too complex (think 3D brain models)? 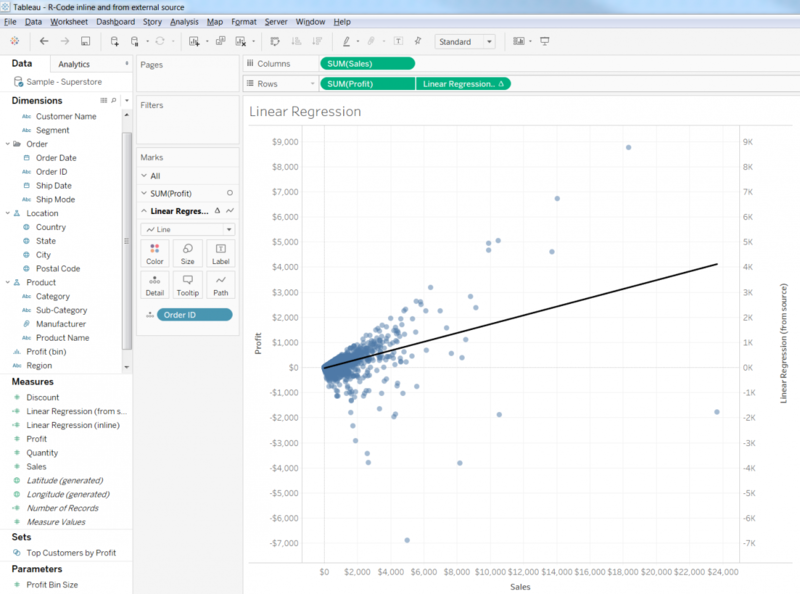 Tableau introduced the R integration in version 8.1 back in 2013. That’s awesome because it opens up to Tableau the whole range of analytical functionality R offers. 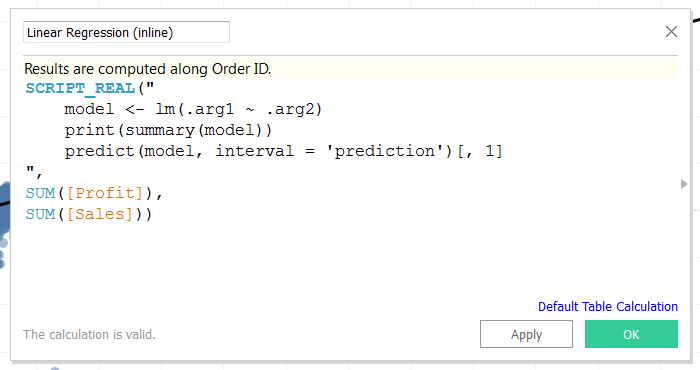 Most of the time the R code being triggered from within Tableau is rather short, such as a regression, a call to a clustering algorithm or correlation measures. But what happens when the code you want to run out of Tableau is getting longer and more complicated? Are you still bound to the “Calculated Field” dialog window in Tableau? It’s nice but it’s tiny and has no syntax coloring or code completion for our precious R code. With my background of spatial terrorism analysis I’m always very interested in the statistical analysis of crime data. Scott Stoltzman over at stoltzmaniac.com discovered a great data set by the City and County of Denver. It has data about all the criminal offenses in the City and County of Denver for the previous five calendar years plus the current year to date with plenty of attributes, timestamps and even geographic locations. Scott wrote a series of blog posts (starting here, then here, and here) showing some initial exploratory data analysis (ETA) in R and also some in-depth looks into a few topics that sparked his interest along the way. That’s exactly what Tableau wants to enable people to do, so with this first episode of “Let me tableau this for you” I want to show how easy it is to get to the same interesting insights Scott outlined in his write-up, only without all the coding. I’m not sure how long it took him to get from finding the data to generating all the plots in the article, but my guess would be it took longer than this ~20 minute screencast. Enjoy the video below, and please let us know in the comments section if you have anything to add. Please refer to the original post if you want to know more about the idea behind Let me tableau this for you (LMTTFY). Wow, another year has passed and so much has happened in the meantime!